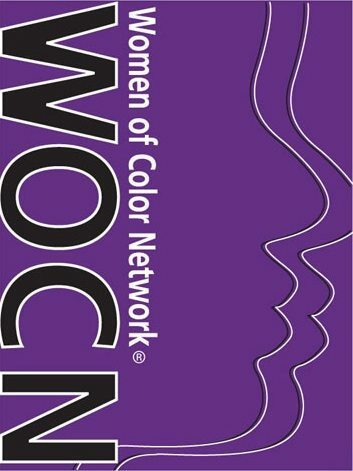 Publications – Women of Color Network, Inc.
Our publications provide background, a scope of the problem, and offer targeted recommendations for advocates, agencies, and policymakers to resolve common challenges facing Women of Color. 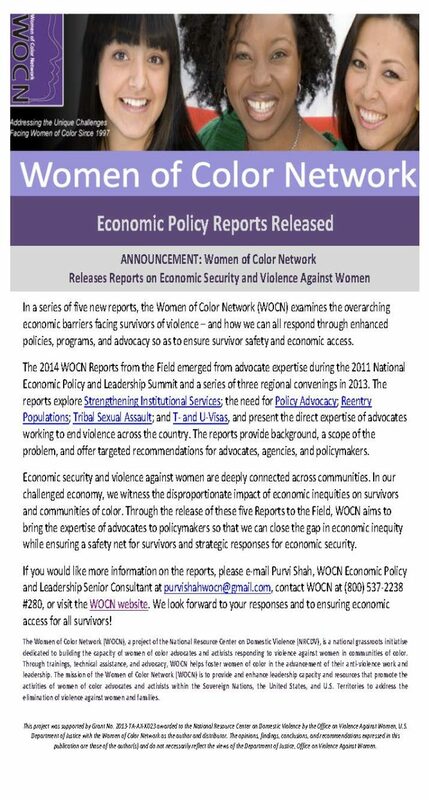 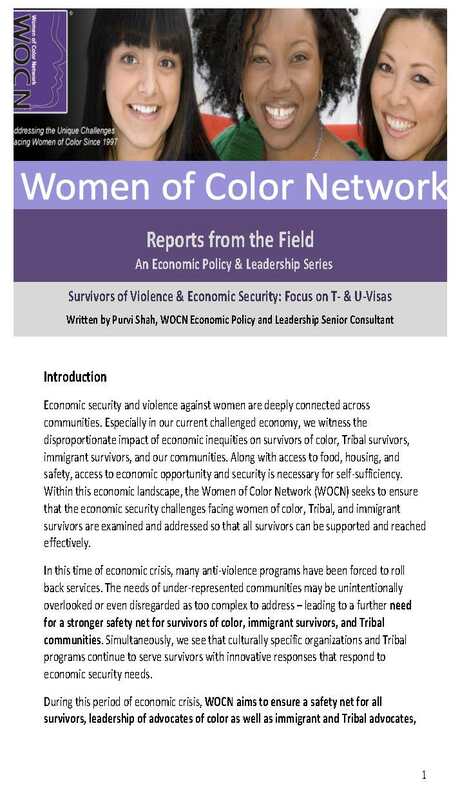 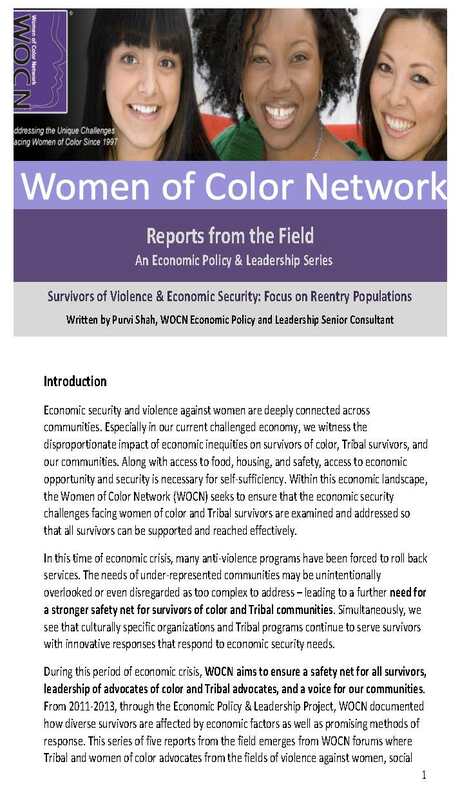 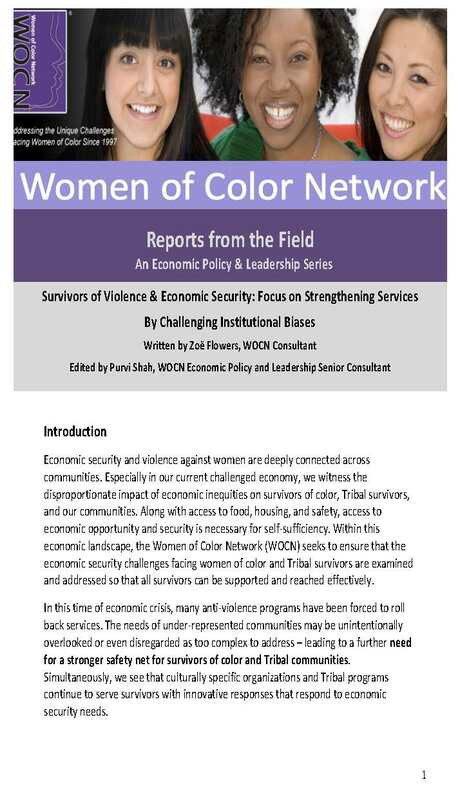 In a series of five reports, the WOCN, Inc. examines the overarching economic barriers facing survivors of violence – and how we can all respond through enhanced policies, programs, and advocacy so as to ensure survivor safety and economic access. 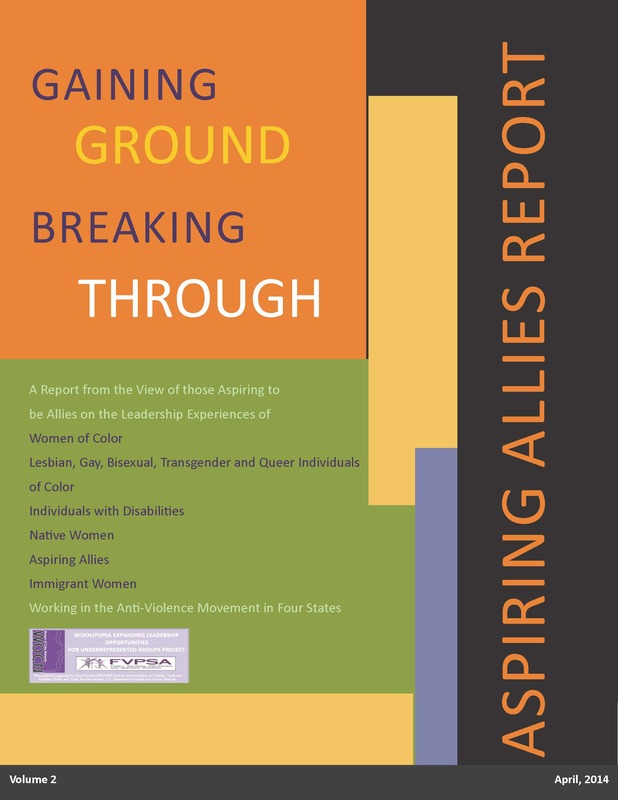 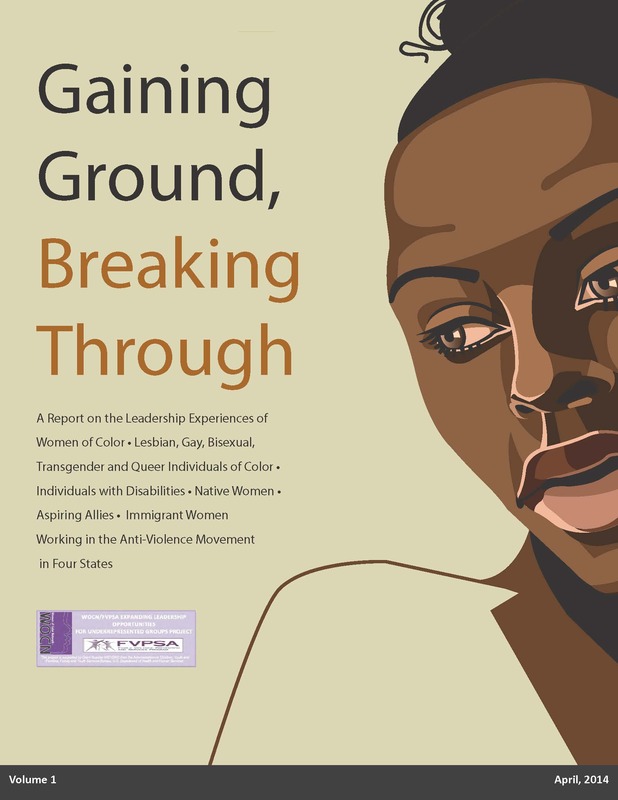 The Gaining Ground Reports feature a collection of survey data, and stories and experiences gathered through focus groups conducted within the four states that highlight the need for movement-wide programming and promising practices to better support and sustain the leadership of those from underrepresented populations. 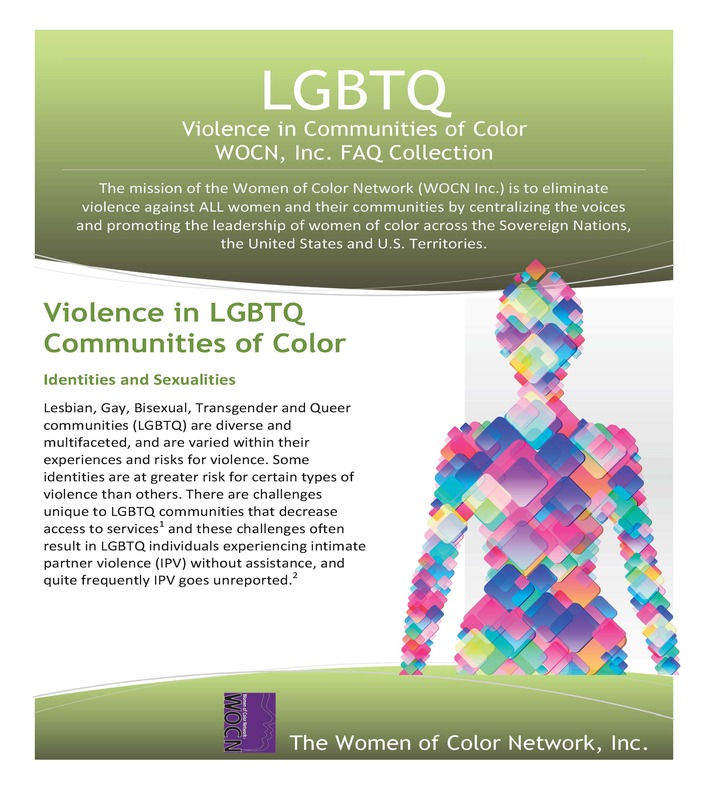 Also, to further diversify anti-violence organizations and enhance their outreach and services to marginalized populations. 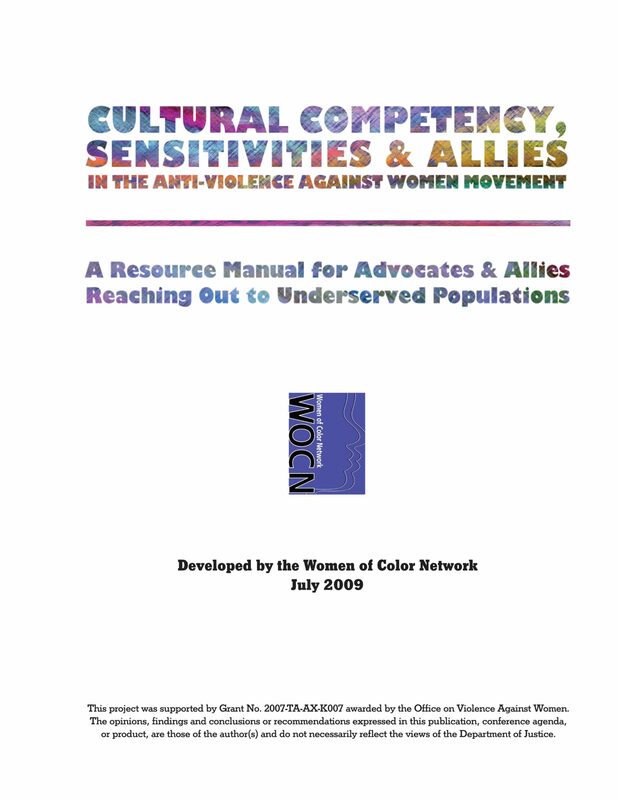 This eight-chapter manual was developed by WOCN, Inc. staff, advisors and national partners and is intended as a tool for advocates and staff working at Office of Violence Against Women (OVW) funded organizations and community-based advocates seeking to enhance their services to underserved populations. 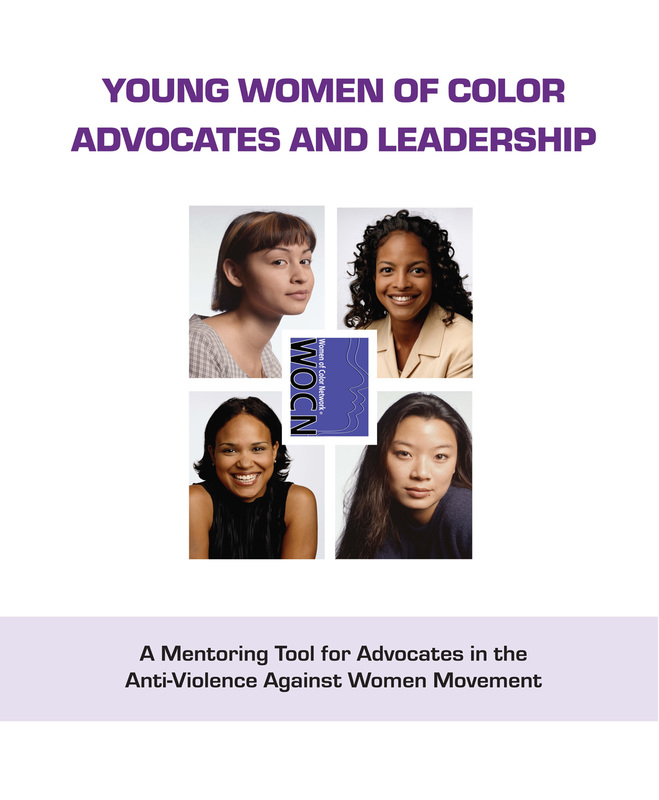 This tool was created to be a sound guide for young women of color (YWOC) advocates in the anti- violence against women (VAW) movement who are interested in building a mentor relationship. 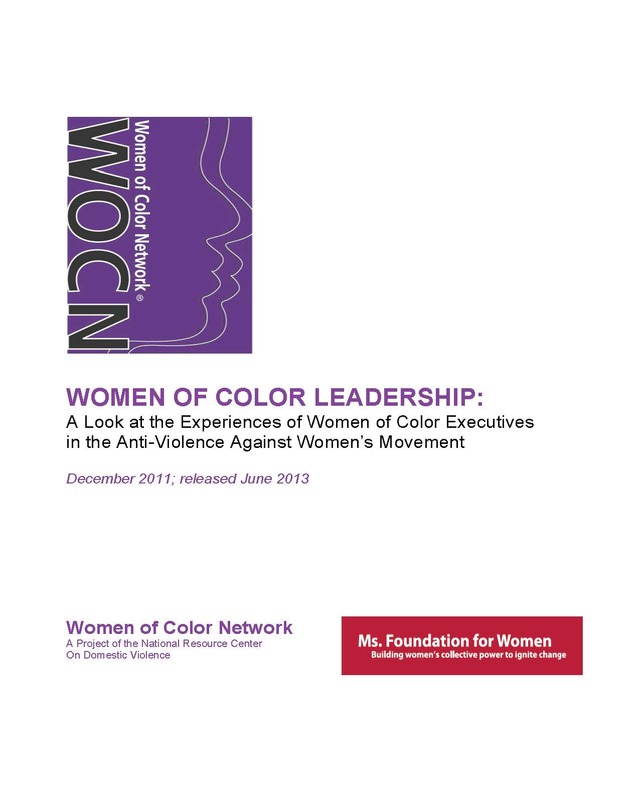 Young women of color, in particular, are less likely to have access to mentors or mentoring relationships, despite the important role mentoring may play in workplace success and professional growth. 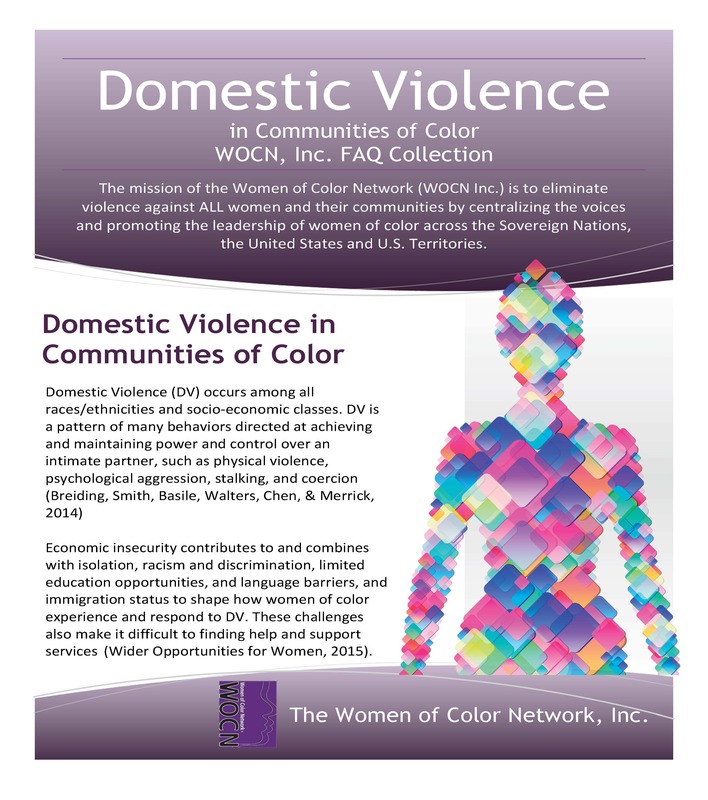 The purpose of this analysis was to illuminate the collective, disproportionate homicide rates across and within communities of color and to intensify local, state, and national responses to intimate partner violence. 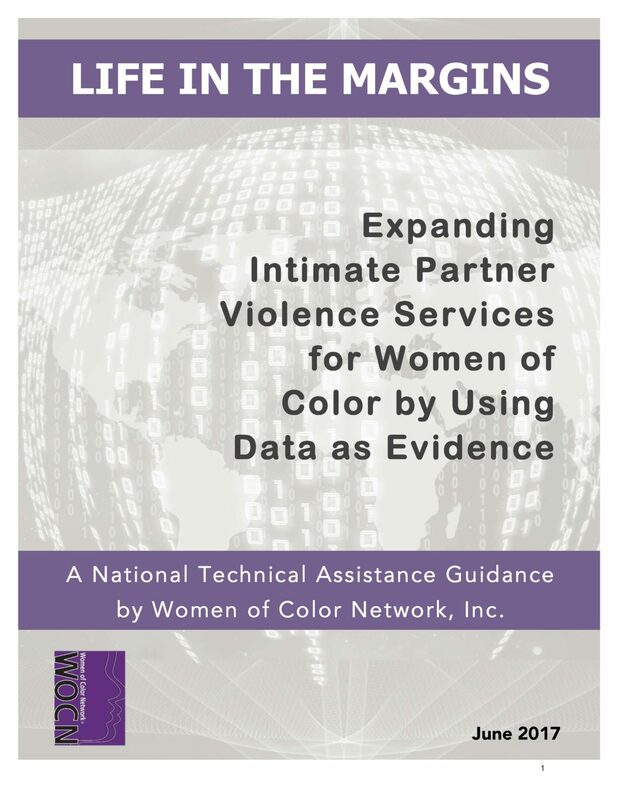 This technical assistance guidance is an extension of the policy recommendations of the Hotline and homicide reports utilizing data from 2012 and 2013. 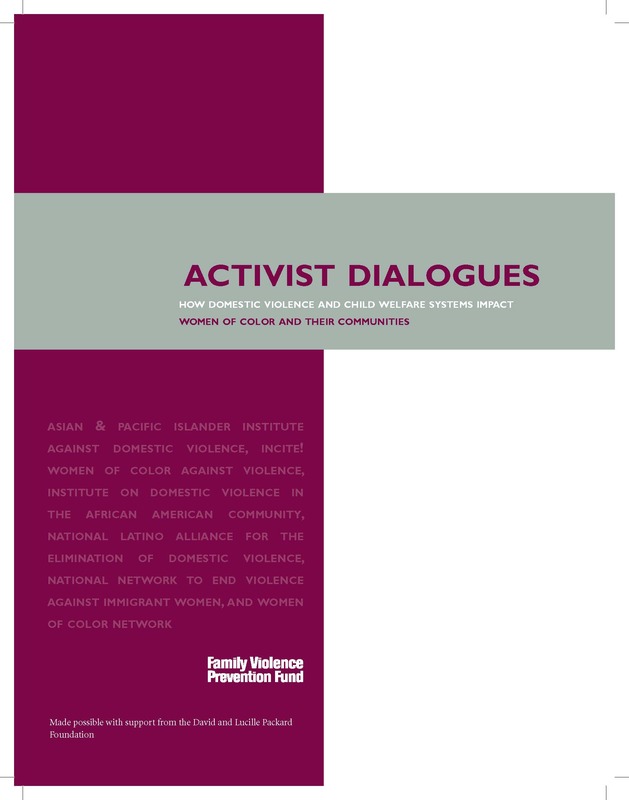 It provides advocates and policy makers with insights on how to use such homicide and Hotline data to better reach and serve women of color.